Limited Edition Zufanek Slivovitz, aged in oak barrels. The charred oak barrels impart to our slivovitz the vanilla and wood tones so admired in cognac. 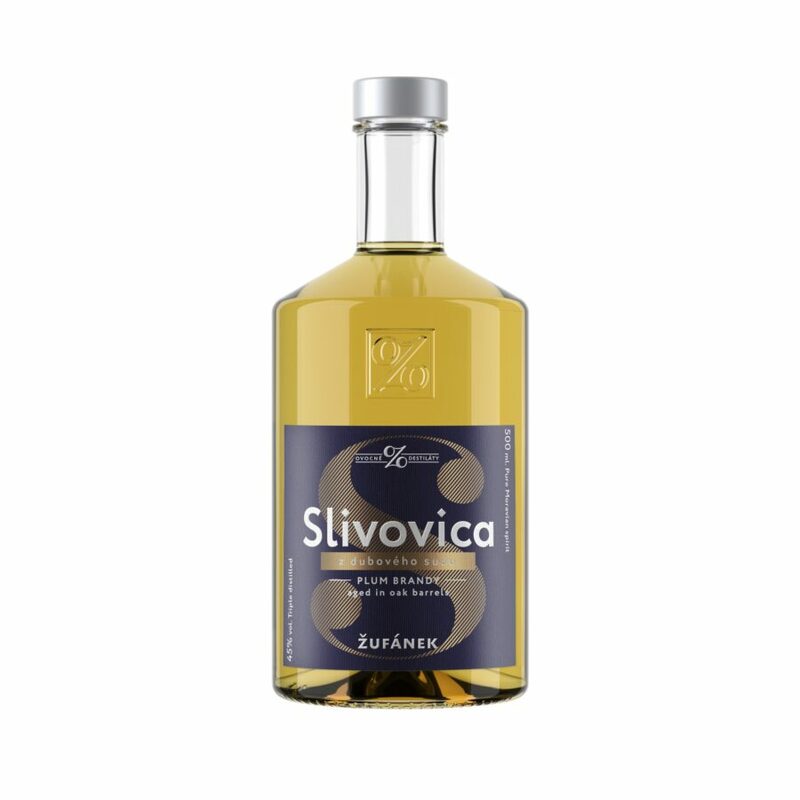 Aged slivovitz, because of its color, is called “golden” and represents the pinnacle for each brand of slivovitz. The charred oak barrels impart to our slivovitz tones of vanilla and wood, but also exact a not-inconsequential tribute in the form of precious slivovitz evaporating through the wood (the so-called angels’ share). Each run of golden oak-aged slivovitz totals just 225 liters. All the fruit used for making Žufánek Slivovitz comes from our own organically cultivated orchards located in an environmentally protected district of the White Carpathian Mountains.